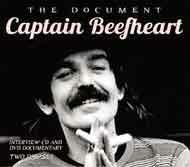 Musicians: Captain Beefheart - Vocals, Harp. Rockette Morton - Guitar, Bass. Zoot Horn Rollo - Guitar. Orejon - Bass. Ed Marimba- Drums. Winged Eel Fingerling - Guitar. 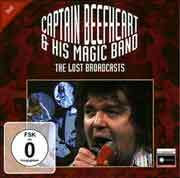 In April 1972 Captain Beefheart and the Magic Band recorded a session at the Beat Club in Bremen for later transmission. Four songs were recorded although only one was ever broadcast - one of the takes of I'm Gonna Booglarize You Baby was aired in June 1972. Documentary DVD tracing the roots and history of the good Captain. It features video clips of live and studio performances interspersed with contributions from various Magic Band members and others. Included in the package is a copy of The Classic Interviews (see below). The DVD is available separately as "Under Review" - see below. 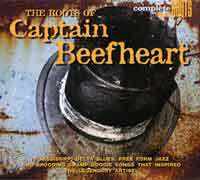 A compilation of some of the music that quite probably had an influence on the young Captain Beefheart. 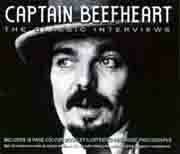 Sometime in the mid-Seventies, Captain Beefheart was interviewed by journalist Steven Rosen (who also interviewed Frank Zappa a few years later). This CD is taken from the tape of that interview. This documentary features live and studio performances interspersed with the views of former Magic Band members John French, Mark Boston, Jeff Moris Tepper, Elliot Ingber, Ira Ingber, Jerry Handley, Doug Moon, Gary Marker, Eric Drew Feldman and Gary Lucas. More commentary and critical analysis is provided by biographer Mike Barnes, author and critic Alan Clayson and Uncut Magazine's Nigel Williamson.